As an agricultural region, Kansas was once home to many fabled Midwestern railroads like the Chicago, Rock Island & Pacific (Rock Island); Chicago, Milwaukee, St. Paul & Pacific (Milwaukee Road); Chicago, Burlington & Quincy (Burlington); Union Pacific; Missouri-Kansas-Texas (The Katy); Kansas City Southern; and even the Missouri Pacific. Laying within America's so-called "Breadbasket" the Sunflower State enjoyed a robust railroad economy with over 9,000 miles crisscrossing its borders. Since it contained many through routes with somewhat fewer branch lines it has not suffered as many abandonments as nearby states like Iowa, Missouri, and Wisconsin. 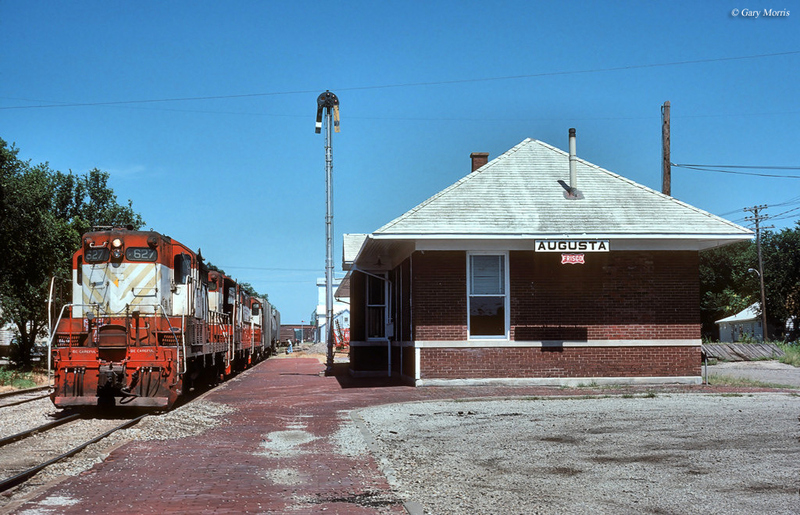 Today, Kansas is home to nearly a half-dozen museums that do a fine job telling the history of its railroads. There are also a handful of train rides to enjoy including the Abilene & Smoky Valley Railroad, Heart of the Heartlands, and the Midland Railway. Please note! The information here pertains only to Kansas train rides related to vacation and tourism destinations. If you are interested in intercity/long distance rail travel please visit Amtrak's website. The development of railroads in Kansas began soon after Congress opened its lands to white settlement in the spring of 1854, according to the Kansas Historical Society. As the fastest, efficient, and most effective means of transportation, leaders soon realized the iron horse's need to properly develop and grow the territory's fledgling economy. As a result, the Leavenworth, Pawnee & Western Railroad (LP&W) was chartered on February 1, 1855. However, with few settlements (much of which remained under control of the Native Americans) and little capital available the project lay dormant. Finally, when the U.S. government launched the Transcontinental Railroad in 1862, following President Abraham Lincoln signage of the Pacific Railroad Act into law on July 1st that year, things got moving once more. This legislation created the Union Pacific Railway, authorized to build west from Omaha, Nebraska to connect with the already-established Central Pacific Railroad building east from Sacramento, California. The LP&W was subsequently renamed as the Union Pacific Railway, Eastern Division in July, 1863 with intentions of connecting with Union Pacific's main line. It's official intentions stated it "...shall build the railroad from the mouth of the Kansas River, by the way of Leavenworth, or if that be not deemed the best route, then the said company shall, within two years, build a railroad from the city of Leavenworth to unite with the main stem at or near the city of Lawrence; but to aid in the construction of said branch the said company shall not be entitled to any bonds. And if the Union Pacific Railroad Company shall not be proceeding in good faith to build the said railroad through the Territories, when the Leavenworth, Pawnee and Western Railroad Company, now known as the Union Pacific Railroad Company, Eastern Division, shall have completed their road to the hundredth degree of longitude, then the last named company may proceed to make said road westward, until it meets and connects with the Central Pacific Railroad Company on the same line. And the said railroad, from the mouth of the Kansas River to the one hundredth meridian of longitude, shall be made by the way of Lawrence and Topeka, or on the bank of the Kansas River opposite said towns." In the end, promoters managed to achieve a Congressional amendment enabling them to build beyond the one-hundredth meridian and continue on to Denver. After the company's name was changed again on March 3, 1869 as the Kansas Pacific Railway the latter city was reached by 1870. Service would commence on September 1st that year. Following the financial Panic of 1873 the company struggled and was eventually acquired by Jay Gould on March 7, 1879. This notorious, yet powerful, tycoon also controlled Union Pacific and merged the Kansas Pacific and subsidiary Denver Pacific into the UP on January 24, 1880 to form the new Union Pacific Railway. During is heyday in the 1920's, Kansas enjoyed some 9,400 miles of railroad; over the years, particularly after the 1970's, competition, overbuilt trackage, and severe government regulation has seen this number decline to just 4,768 miles today according to the Association of American Railroads. When avid excursion train riders think of states that offer incredible journeys by rail, Kansas would not make most lists. To some extent this is true; however, the three attractions found there do offer bucolic scenery through rolling hills and open farmland, hosting special events like "A Day Out With Thomas." Noteworthy is the Abilene & Smoky Valley, which the chance to see a historic, operating steam locomotive. If you are interested in catching one of the state's excursions be sure and do so during their operating season between the spring and fall. If you are interested in Kansas train rides that pertain to specific events, such as "The Polar Express," Halloween, Thomas the Tank Engine excursions, or fall foliage events please visit the main tourist trains section of this website. The Abilene & Smoky Valley Railroad, based in Abilene, Kansas operates on former Chicago, Rock Island & Pacific (Rock Island) trackage (This line was part of its through corridor running from Kansas City and St. Joseph, Missouri to Denver/Colorado Springs. It was all built under a subsidiary known as the Chicago, Kansas & Nebraska Railway, chartered in 1886 and completed by 1889.) as far as Enterprise, about 13 miles. Trains are boarded from the restored Rock Island depot in Abilene. They also host special events during the season such as dinner trains, private dining events, birthday parties, wedding, anniversaries, and family reunions. Be sure and check out restored 4-6-2 "Pacific Type" steam locomotive, #3415, which operates on a limited scheduled. The unit was originally built by the Baldwin Locomotive Works in 1919 for the Atchison, Topeka & Santa Fe Railway. This museum is located in North Topeka and housed within Union Pacific's beautifully preserved and restored stone/brick station completed in January of 1927. It was the work of renowned architect Gilbert Underwood, designed in the Free Classic Revival Style. The building remained in use as a passenger terminal until 1971 and then as an office through 1989. After fire left part of the structure damaged in 1992 a group known as Topeka Railroad Days, Inc. (now known as Railroad Heritage, Inc.) reached a deal to renovate the station and it became a museum a few years later. It was subsequently placed on the National Register of Historic Places on October 1, 2002. Today, the impressive structure offers numerous historic displays to peruse (not all of which relate to railroads) and also holds several events throughout the year. To learn more about the museum and planning a visit please visit their website. This museum, located in downtown Wichita along the active main line of the BNSF Railway, features a collection of rolling stock and artifacts Its mission statement notes the group's goal, "is to preserve and convey the unique history of railroading in the Great Plains through acquisition, restoration, research, exhibition, and education." Their featured pieces include Santa Fe 4-8-4 #3768 (out-shopped by the Baldwin Locomotive Works in 1938) and Santa Fe FP45 #93 (built as #103), manufactured by General Motors' Electro-Motive Division in December, 1967. Finally, just next door is Wichita Union Station, a beautiful structure completed in 1914. During its heyday this building hosted trains of the Santa Fe, Rock Island, Kansas City, Mexico & Orient Railway (acquired by the Santa Fe in 1928), and the St. Louis-San Francisco Railway (Frisco). Plans call for the building, which is listed on the National Register, to be renovated. The Great Plains Transportation Museum is open on select days throughout the year. Heart of the Heartlands, Inc.
A rather odd name for a tourist railroad, Heart of the Heartlands, Inc. is based in Scammon, Kansas. 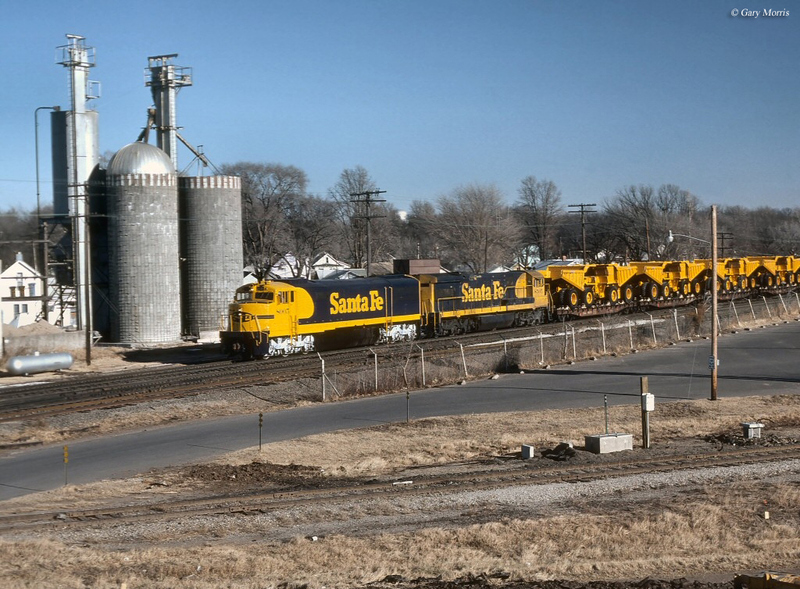 They host trips (either standard excursions or rides in motorcars/speeders, devices once common to ferry track workers/maintenance-of-way personnel from place to place) over the South Kansas & Oklahoma, a short line freight system that is a division of Watco, Inc. The SK&O operates more than 400 miles across southeastern Kansas, northeastern Oklahoma, and western Missouri. The tracks it utilizes were formerly owned by three notable railroads; Missouri Pacific, St. Louis-San Francisco, and Santa Fe. Heart of the Heartlands also acts as a railroad museum with numerous in-door displays to peruse. To learn more please visit their website. This small depot, a brick/stucco structure completed in 1912 for the Chicago, Rock Island & Pacific (Rock Island), currently houses the local Liberal Chamber of Commerce. The building was completely renovated in 1998; inside they have a small collection of artifacts on display. To visit the building please call 620-624-3855. This small museum, which also acts as a stop for Amtrak trains, is located inside the Santa Fe's restored brick depot in Kingman (completed in 1910). The facility is only open by chance or appointment. To visit the depot, which houses railroad and local artifacts, please call 620-532-2142. 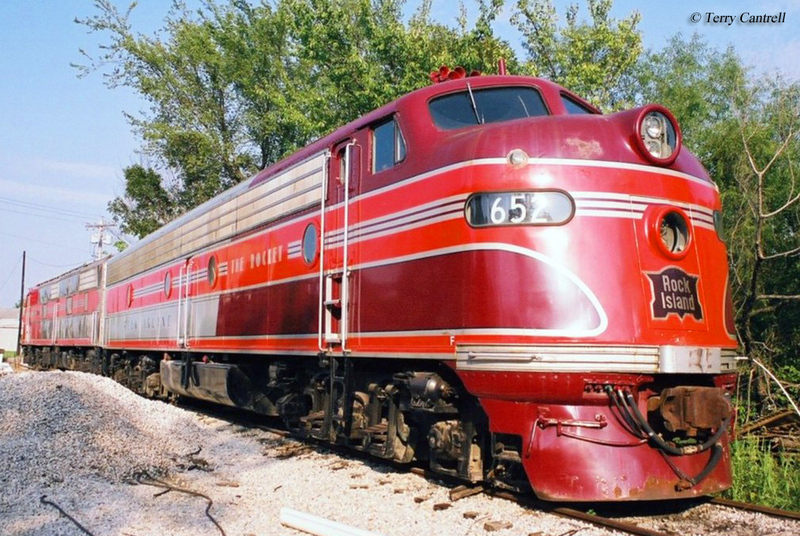 The all-volunteer Midland Railway, operated by the Midland Railway Historical Association, is based in the eastern Kansas town of Baldwin City and has grown into a popular tourist railroad, operating from June through October each year. They have an impressive collection of equipment and maintain a railroad that stretches about 20-miles at its farthest along a former branch line of the Santa Fe. Additionally, there are special events during the year including hosting "A Day Out With Thomas" the tank engine, train robberies, as well as first-class dinner train accommodations. To learn more please visit their website.